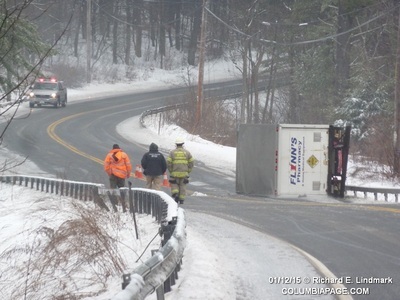 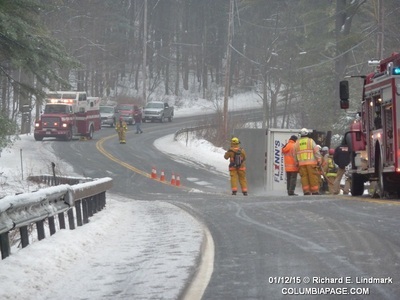 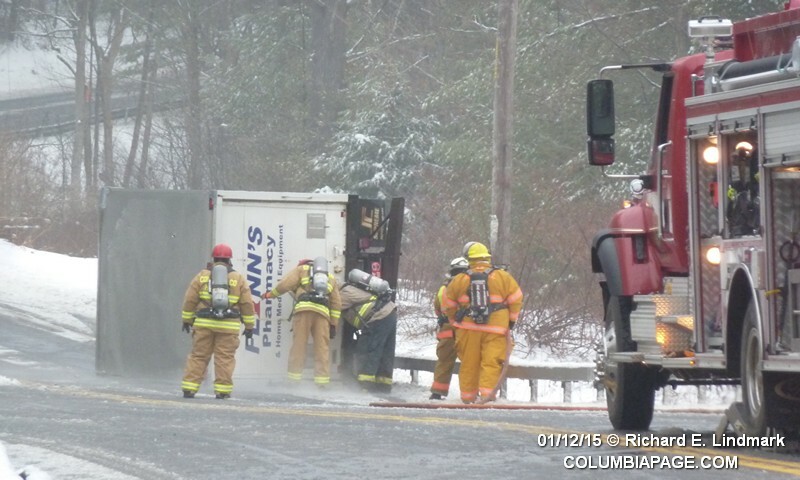 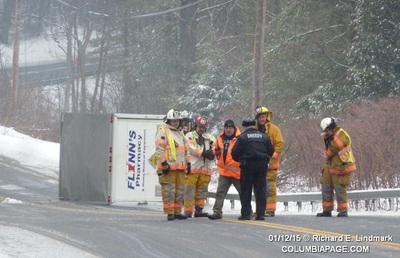 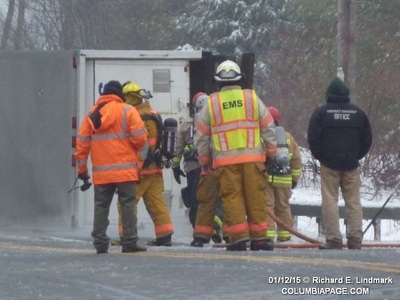 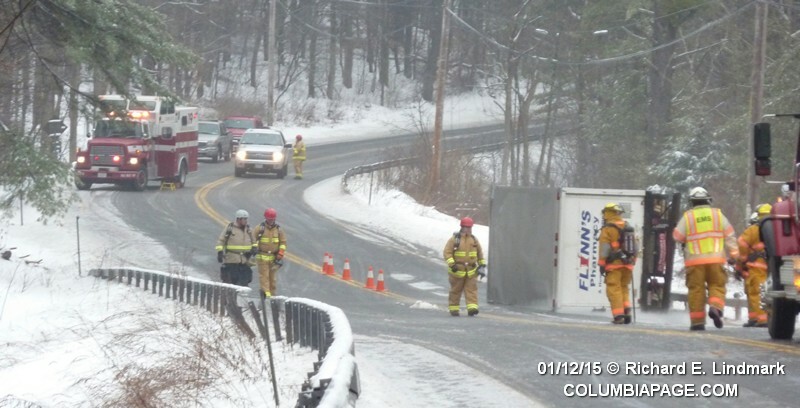 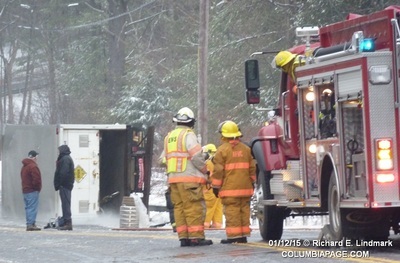 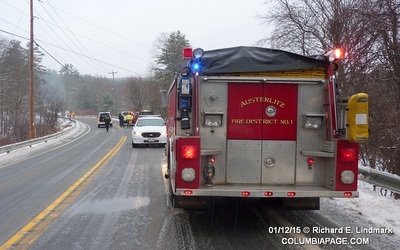 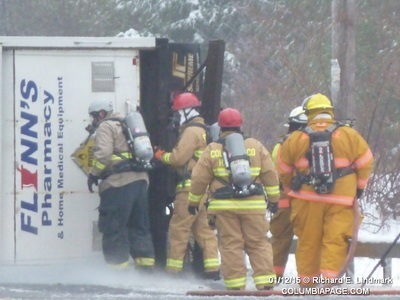 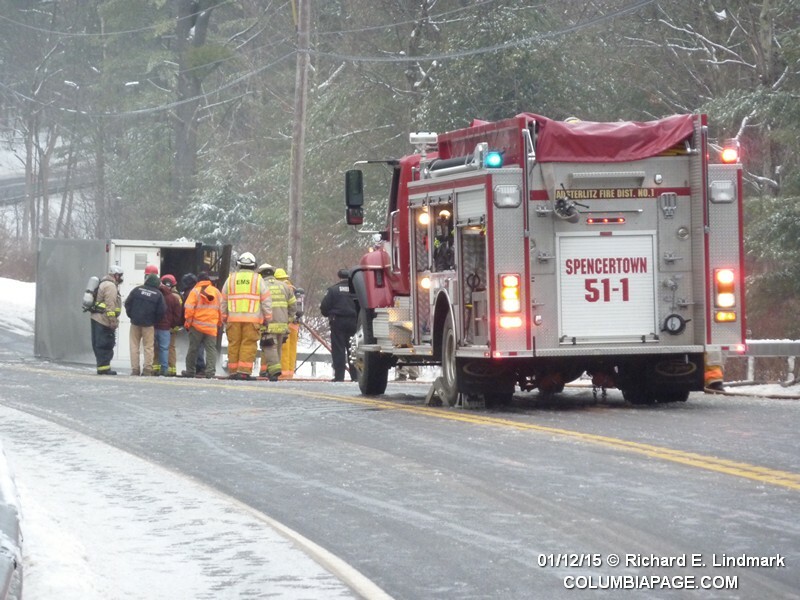 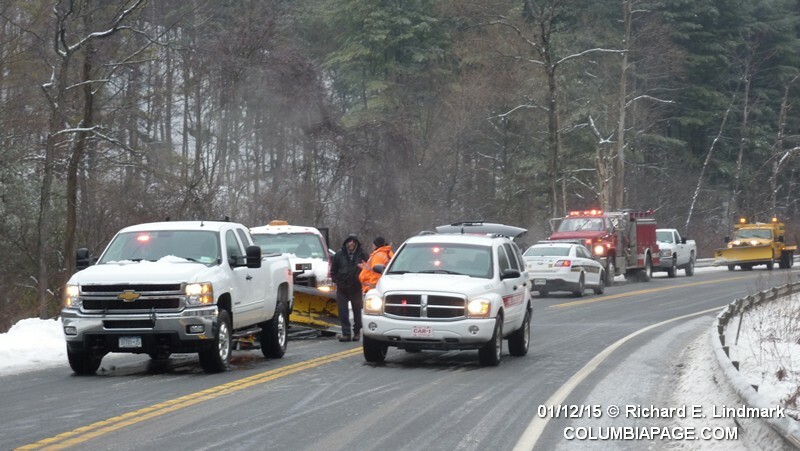 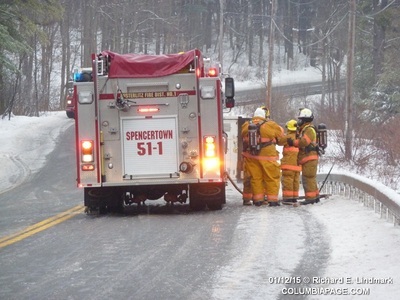 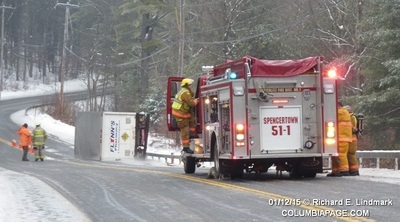 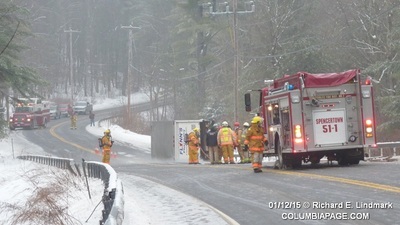 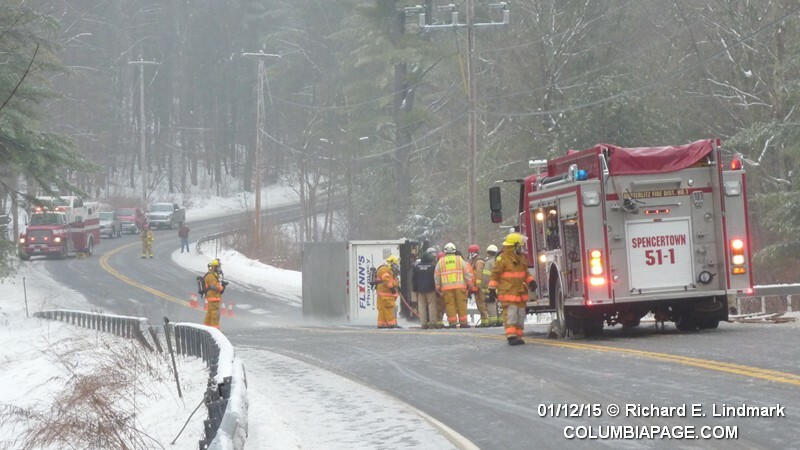 Columbia County 911 dispatched Austerlitz Fire District Firefighters and Community Rescue at 12:08pm for a report of a box truck on its side. 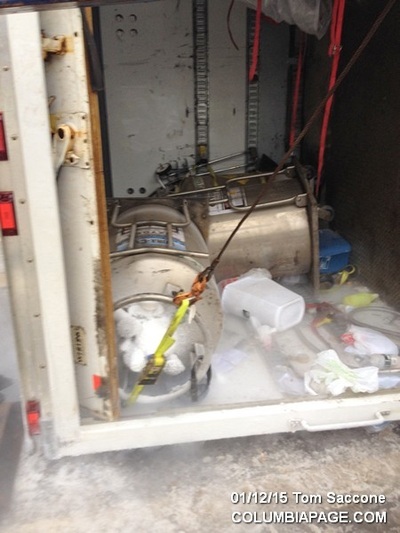 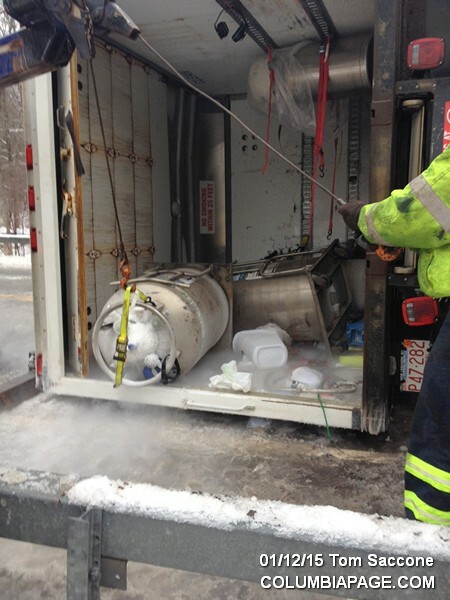 It was reported that the truck contained three 950 pound oxygen cylinders that were leaking. 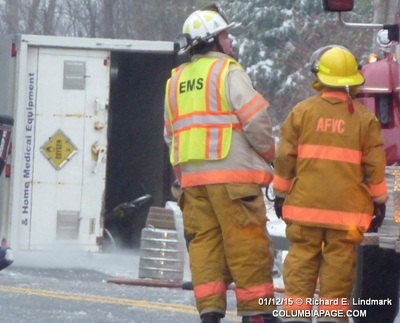 The operator of the truck was not injured and remained on the scene. 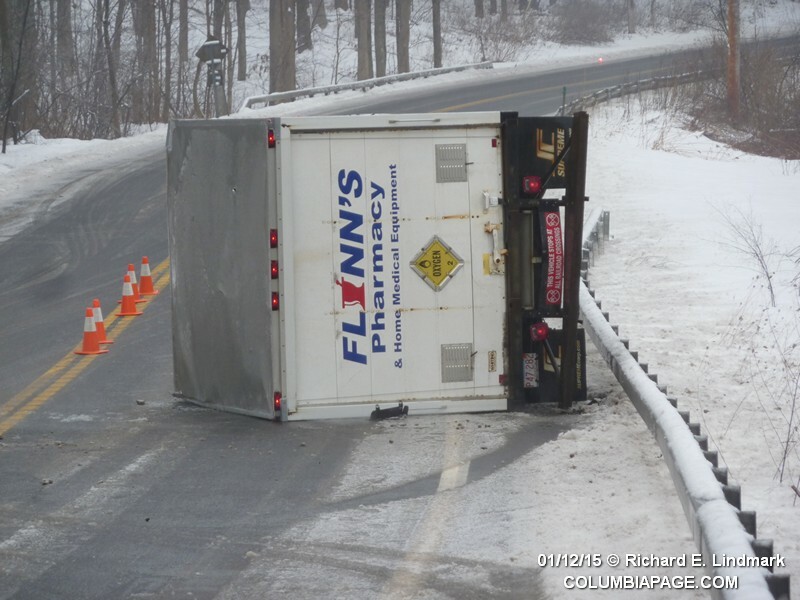 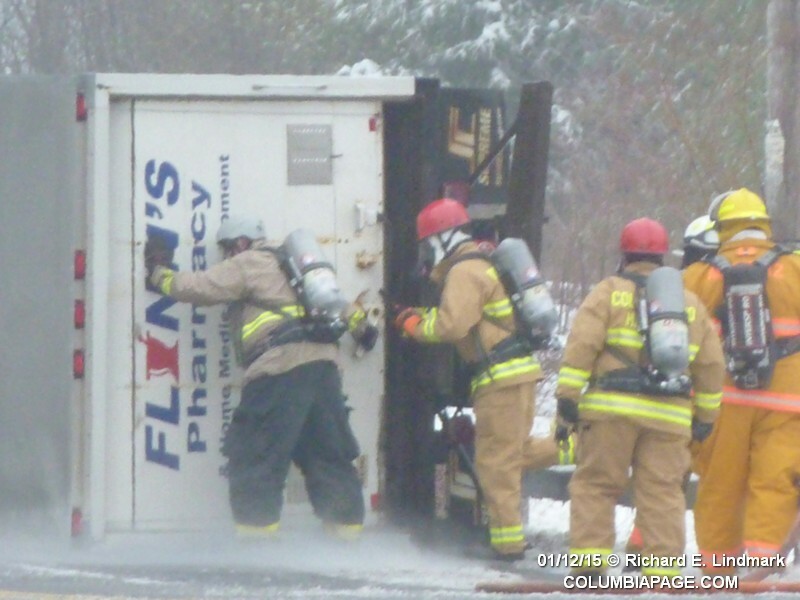 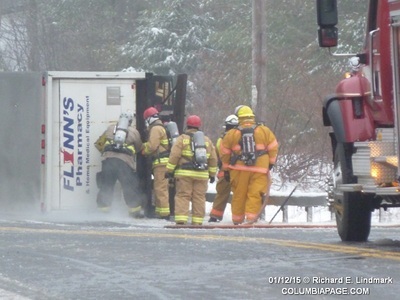 The truck was from Flynn's Pharmacy of Elm Street in Pittsfield Massachusetts. 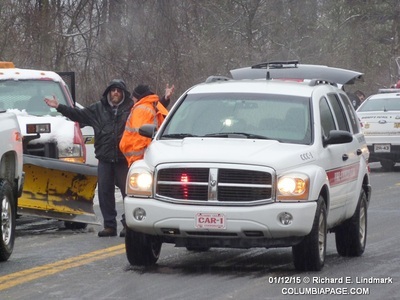 It was southbound on Route 22 enroute to a home oxygen delivery when the accident occurred. 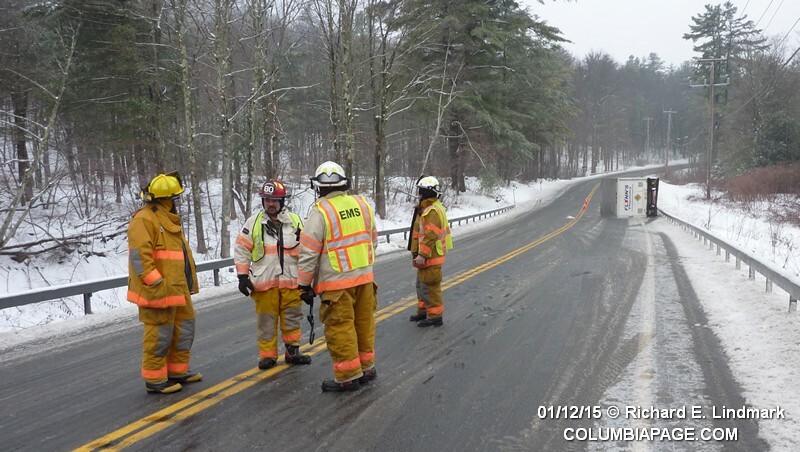 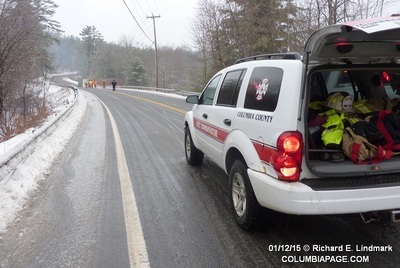 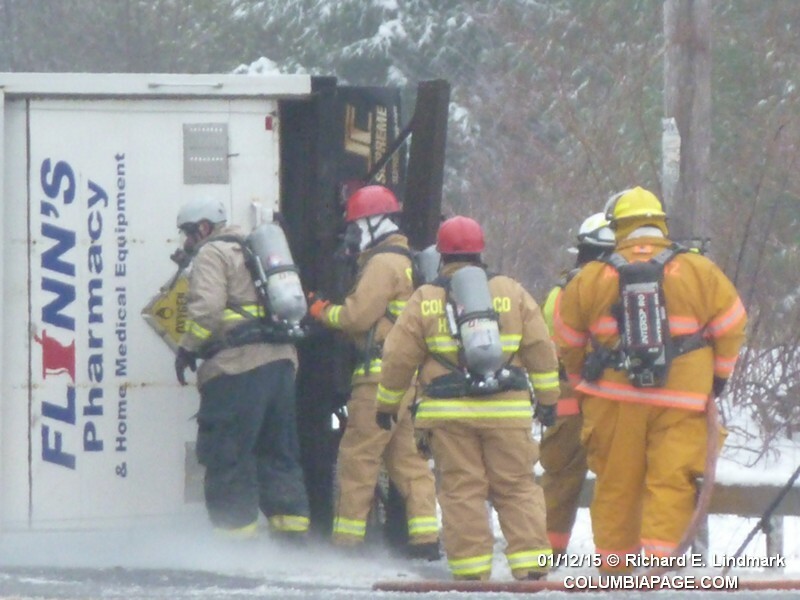 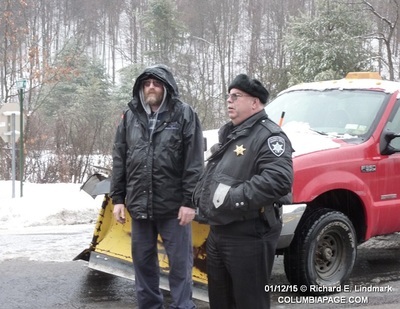 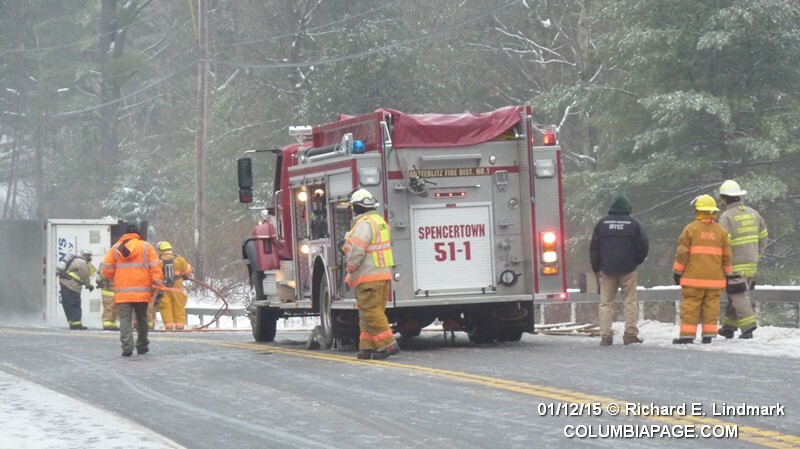 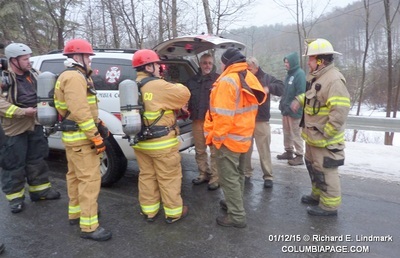 The Columbia County HazMat Team, Columbia County Fire Coordinators Office, Columbia County Office of Emergency Management, New York State Department of Transportation and New York State Department of Environmental Conservation Spill Response all responded to the scene. 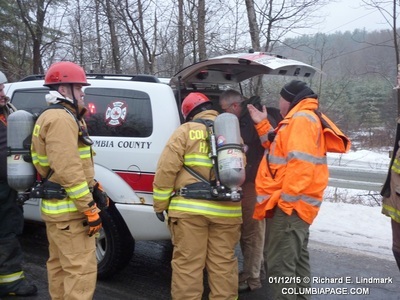 A Hazardous Materials Specialist from the New York State Office of Fire Prevention and Control was requested to the scene. It was determined that only oxygen vapor leaked and not liquid oxygen. 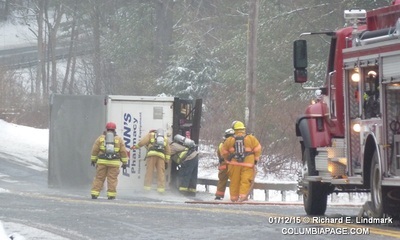 A section of Route 22 was closed during the incident. 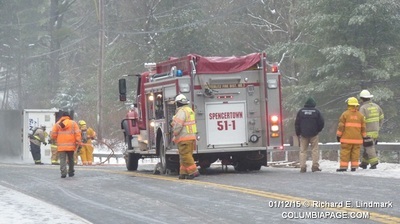 Firefighters were back in service at 5:03pm.